How Many New Patients Do You Want? Run Targeted Cable TV Ads for as Little as $4 Per Spot. What is the Chiromercial Service? By providing you with six different personalized ads you can rotate the ads through your campaign cycle or you can select the ads that will be of interest to your target market. The Connection Between Attracting New Patients and a 1970 Corvette. I took my classic car to a speed shop and asked a simple question: "How fast can you make this thing go?" The answer was quick and to the point: "How much money do you want to spend?" There is a direct correlation between generating horsepower and spending dollar bills. The decision was mine. Generating new business is just as easy. How many new patients do you want? The answer of course is "How much do you want to spend?" There is a direct correlation. Advertising and marketing budgets always seem to be mysterious concepts to doctors of chiropractic. I've been helping doctors for over 30 years and it's rare when I come across a doctor that truly understands. Most doctor's budget is blown on the next order of 100 crooked pens. I exaggerate, but just a bit. There are two accepted methods of determining your advertising and marketing budget. The first is to spend 10-15% of monthly gross revenues. The second method is more like the Corvette analogy. Spend 10-15% of how much you WANT gross revenues to be. 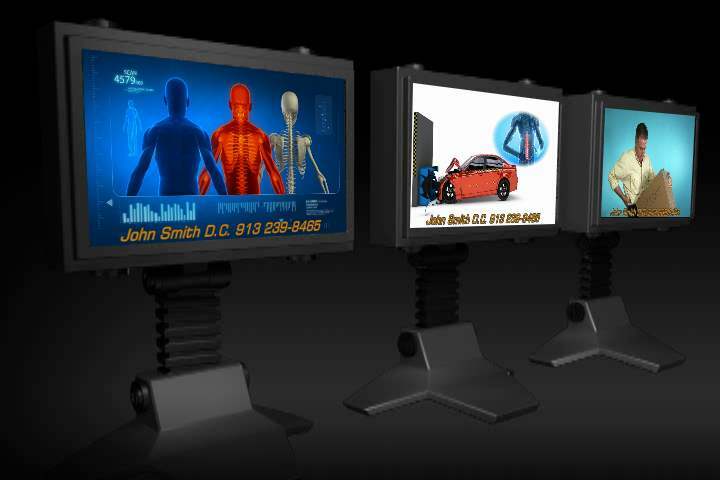 One effective method of attracting new patients is through highly targeted cable TV advertising. The decision is yours. Those digital boxes on top of your set allow cable companies to target ads according the the selected demographics associated with their programming. More important, you can select the area you want to target. Most patients live or work near your office, within 5 miles in a large town, 10-15 in a small town. Most cable systems break their subscriber area into zones, by zip code. So even though the cable carrier covers an entire metro area, I can run an ad campaign that will cover select zip codes. This reduces the overall cost and concentrates the ads in my target area AND demographics. Six 30 second HiDef Commercials produced to run on local cable TV channels. This type of targeted advertising is surprisingly affordable and WILL drive patients to your office. Click the button below to add the Chiromercials to your wish list.